Previous week I’ve had a lot of stuff going on… Grandpa passed away 🙁 and we’ve attended the SGC. On SGC we’ve received tons of valuable feedback for Reynard. This week I’ve decided to implement and fix some of the suggested stuff. Thus this update revolves around bugfixes, crafting recipes and other minor stuff. We’ve added crafting to Reynard pretty early. It’s available from the beginning of the early access. But one thing is adding the system to the game and other thing is utilizing it. That’s why I’ve decided to start adding more interesting recipes and usable items to the game. Until now you could only create a better version of the item if you placed 2 of the same items on the forge. But we want to add more stuff for the forge. We really want the player to be able to create something more powerful if he finds the material for it. Adding new recipes to Reynard’s crafting system! I’m planning on adding special challenge rooms that will challenge the player’s skill, but will hold way better items and crafting components. But that’s in the future. Added Simon’s staff and a recipe to create it on Forge. Added Necro staff recipe… On 15th kill spawns a skeleton. Fairy has 5 HP. She heals player for 1 point, but also damages herself for 1 point. Added Poor wooden bow recipe. Breakable wooden bow. Added Blacksmith’s ring. Once dropped on the forge, it repairs player’s equipment. Rats now have 50% chance of fleeing when hurt. Serpentino’s spit now has SFX and when you pass the bridge there is now an explosion sound. Dexter roars before he enters the charging state, added sound effects for roar and charge. Doctor plague now spawns skeletons more frequently and starts roaming sooner and has added sound effects for cast and attack. Wilson Shoots laser beam in random direction. Wizco now has more SFXes. Modified all 100% resist armors that aren’t breakable. They don’t have 100% resist anymore. Buffed the Xeno turret. Faster shooting rate and more damage. Fixed the bug that didn’t spawn projectiles. 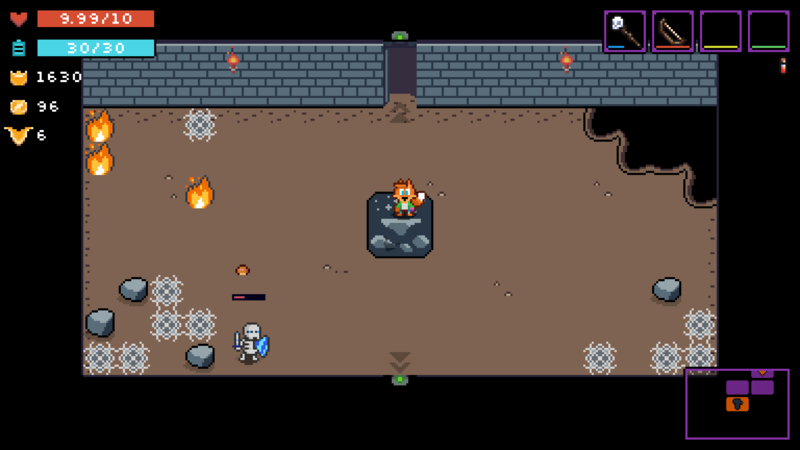 Fixed the layers of Forge and Pawn… The enemies can now walk on them. Fixed the relic forging bug. Confirm button is now the “dash” button. Fixed the bug that didn’t save “usable” items. Selected buttons now have a brighter color. Shrines, libraries (mini shops) now show the cost of the item instantly. Fixed the bug when Item preview didn’t open up if companions came close to the interactable object. Fixed the bug when the stairs to secret room are spawned behind indestructible objects. Expect more cool recipes and updates in the future. 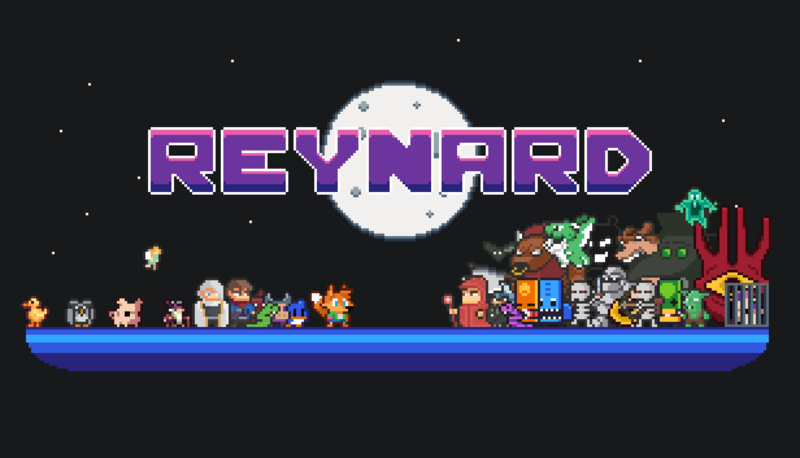 We’re also planning Reynard’s release on the steam in November! If you’d like to recommend something, please let me know!